You’ve probably spent a fair bit of time in the kitchen over summer; cooking, eating BBQ leftovers, cleaning or tripping over the cat. Depending on the kitchen you have, it can be a gauntlet of disarray or a creative space to unleash your inner Jamie Oliver. 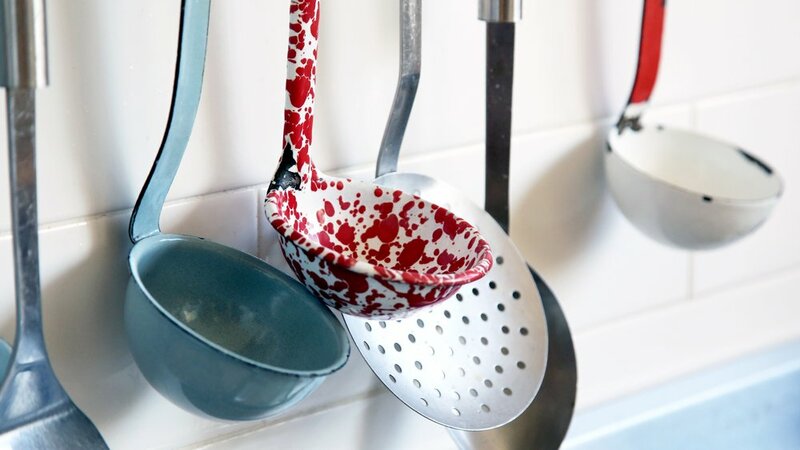 With that in mind, we’ve put together four simple hacks to make your kitchen work better for you. A tidy space equals a tidy mind. Make your pantry more efficient by rearranging your kitchen essentials like oils, spreads and condiments, to be in clear view and easy reach. Add labels to plasticware, stack cans on top of each other to create space and do a monthly clear-out of plastic containers. It’s easy to take lighting for granted, but when you’re cooking in a un-renovated 1960’s kitchen and can’t tell what shade of green your veggies are, good lighting can make a world of difference. A quick upgrade of your bulb wattage overhead and you can say goodbye to overcooked mushy vegetables like your grandmother used to make. Recycle your greens and cut down on your food bill. Give your wilted vegetables a second chance by storing in freezer bags and pulling out for easy cooking in stirfrys and soups etc. Instead of discarding unused bottles of wine, pour into ice cubes and freeze, then pop them into a dish for extra flavour. Don't fall for the late night infomercials and slick marketing messages - you dont need a fancy machine to prepare every aspect of a dish. Prioritise the essentials and get rid of the rest. Do your share and reduce landfill by donating those unwanted popcorn machines and appliances you got at Christmas, to Hospice.